SBN - Soccer Betting News - SA's Leading Soccer Betting Newspaper: Paez exposed... by Komphela? We take a look at whether Steve Komphela may have exposed Gustavo Paez's weakness. 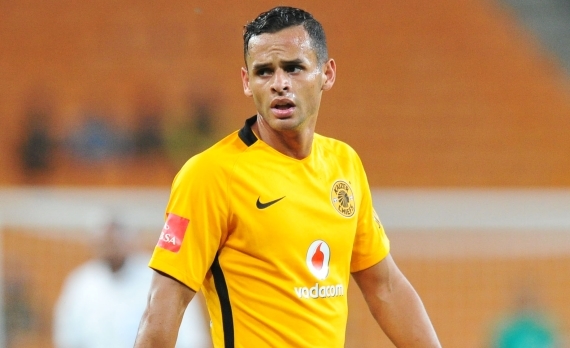 Since Gustavo Paez first joined Kaizer Chiefs in January, the 27 year-old Venezuelan has been a fan favourite. Towards the back end of last season, Paez would come on off the bench and make an instant impact for Chiefs. But now that he is a regular, he tends to go missing after 60 minutes of play. For months, the cry from the Amakhosi faithful was for head coach, Steve Komphela, to start the electrifying striker from the beginning of the match. But since Komphela has opted to take the fans' advice, I worry that he may have exposed Paez's weakness. Perhaps Komphela knew what he was doing all this time. Against Orlando Pirates in the Carling Black Label Champions Cup and SuperSport United in the MTN8, he produced a solid display alongside Bernard Parker, but that lasted just over an hour as tiredness started to kick in. His work-rate is unquestionable, but he showed that he cannot last the full 90 minutes. Perhaps Chiefs should start with a 4-5-1 formation and bring him on second half - a strategy that has already worked to get the best out of Paez. Whether he starts matches or not, I don't think he can compete with other strikers in the league for the Golden Boot award. So why not play to his strengths? Paez is a nightmare to any side he comes up against, and he would certainly strike fear into the eyes of his opponents if he were to come on off the bench.